Downing Street has said that "to the best of our knowledge" ministers named in the Daily Telegraph "appear to have honoured their tax liabilities". "We are in the process of checking whether ministers... are paying the tax that is due," a spokesman added. More than 40 Labour ministers were reimbursed for help with tax returns. The MPs say personal tax advice relating to their work is a legitimate expense but the Conservatives say this is "completely wrong". It comes as The Daily Telegraph reveals Tory MP John Greenaway claimed £500 for fuschias, petunias and other flowers. The MP for Ryedale, North Yorkshire, claimed for the plants at his London flat, the newspaper reveals on day 20 of its expenses investigation. It also reveals that the Tory MP for Bromsgrove in Worcestershire, Julie Kirkbride, pays her sister a £12,000 salary for part-time clerical work - even though she lives more than 100 miles away from the constituency in Dorset. The paper, which has obtained the expenses claims of all 646 MPs, also reports that nine cabinet ministers and 30 junior ministers used allowances meant for the running of their offices to pay for personal tax advice. It said MPs had been given specific guidance from the taxman in 2005 that advice on self-assessment tax returns could not be regarded as a tax-free expense and were in effect a "benefit in kind". 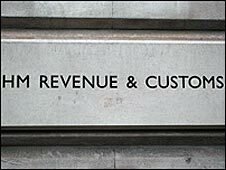 A Revenue and Customs spokesman told the BBC: "It's a general principle of tax law that accountancy fees incurred in connection with the completion of a personal tax return are not deductible. "This is because the costs of complying with the law are not an allowable expense against tax. This rule applies across the board." Tax office sources have indicated they were looking at MPs' previous tax returns to see whether they had complied with the law. Cabinet ministers named by the Telegraph included Communities Secretary Hazel Blears, who told BBC Two's Newsnight she did not have the relevant papers to hand to say what tax she paid. A spokesman for Foreign Secretary David Miliband suggested that because he had paid accountancy fees out of his taxed income, before receiving the money back from the Commons authorities, "there was no liablility". Labour MPs have argued that tax advice relating to their work is a legitimate expense but the Tories say any of the party's MPs charging the taxpayer for this will have to repay the money. A statement issued by the Labour Party, on behalf of all of the MPs named by the Telegraph, said: "To the best of my knowledge I am satisfied that I have honoured all my tax liabilities and will continue to do so. "The House of Commons Fees Office provide all members with a P11D form which states all claims including those that are taxable. "This includes professional services such as accountants. The member then exhibits this form in their self-assessment or passes to their accountant to process on their behalf." The Telegraph has previously alleged that a number of ministers and backbenchers used the services of Dennis Bates, the accountant husband of Labour MP Meg Munn, for advice on their tax returns. Mr Miliband, Angela Smith, Gillian Merron, John Healey and Jim Knight are among those reported to have turned to Mr Bates for advice, reportedly charged £345 each in 2006-7. Ms Munn - a former foreign office minister who pays her husband to work as a Parliamentary assistant - is also said to have claimed on taxpayer-funded expenses for tax advice from her husband. Mrs Merron, Mr Healey, Mr Knight and Ms Smith issued a statement saying Mr Bates had worked for 12 years for the Inland Revenue and was "eminently qualified" to provide advice. The statement, issued by the Labour Party, adds: "Many MPs rightly seek professional assistance and advice where this relates specifically to their role as Members of Parliament and the expense is therefore legitimate and justifiable. "The purpose of this is to ensure all tax liabilities connected with parliamentary duties are properly dealt with." Business groups have expressed concerns said MPs might be being "treated differently" to other taxpayers. If entrepreneurs sought professional tax advice, they had to pay the fee themselves and offset it against any profits on which they paid tax, it has been claimed.